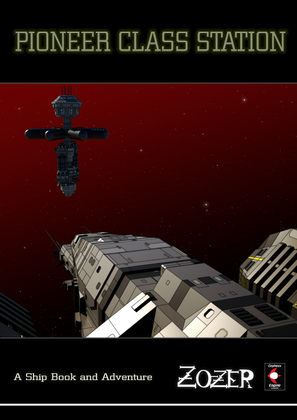 ​A Ship Book & Adventure for Cepheus Engine and the HOSTILE setting. Antony F: I was so very delighted by this supplement, and it will be seeing a Lot of use in my Traveller campaign, and make a great handy reference and locale for my writing projects as well. Lovely flavor, detailed maps, concise and consistent information across the board. I will be looking into more of these guys work. Highly recommended. Mr CDT: An excellent product. I love the overall flavour and background detail of the Hostile RPG and I envisage this station design will also get a bit of use in my Traveller campaign too. The adventure that comes with it is also very good; full of tension and putting the players into a dangerous situation from the outset before turning up the scare factor!